That’s right! 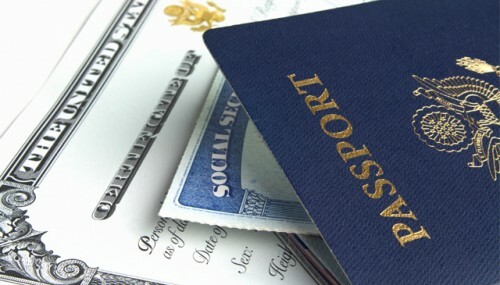 You can bring your passport application to the Andover Public Library and we will process it for you. No more standing in line at the post office. Here at APL your application will be processed in a matter of minutes. The Andover Public Library offers OverDrive ebook and audiobook library services through a digital consortium with several other Kansas libraries. Andover patrons can access OverDrive to check out audiobooks, ebooks, video, and music using their Andover Library cards. Tablet or smartphone users can use the free OverDrive app. Browse and search hundreds of great titles and download them to your computer, transfer them to a portable device, or burn onto a CD for your reading and listening pleasure anywhere, anytime. Digital library items are returned automatically on the due date so there are never any late fees. • Your username is your Andover library card number. • Your password is your last name in lowercase. • You will not be able to log in to Sunflower if you have late books or library fines. • You must live within the city of Andover or the Andover school district boundaries to use Sunflower. For more assistance, check out the help links in the “Getting Started” box on the right side of Sunflower’s home page. Mango offers access to 60 foreign language courses and 17 English courses taught completely in the user’s native language. Mango can be accessed at the library, remotely, or even on-the-go with apps for iPhone®, Android™, Kindle® and Nook®. The State Library of Kansas has other services that provide free digital library books for Kansas residents. Come into the Library and get a free Kansas Library eCard to access these resources. 1. Not all books are available as ebooks. – Maybe the author didn’t sell ebook rights. Maybe the publisher thinks no one will pay money for that title in ebook form. Maybe there are legal snafus that have not been made public. Who knows? What it all means is some books are not available digitally for anyone. 2. Not all ebooks are available to libraries. – Even if you see the ebook on Amazon, we may not be able to buy it for the library. Some publishers do not sell ebooks to libraries. If they did, we would buy them when funds are available. 3. Libraries pay more for ebooks. – It costs more to make a book available for multiple readers. While an individual person may pay $2.00 for a book, a library may pay $20.00 for the same title. 4. Ebooks don’t always come out on the release date. – Some publishers only sell the hardcover at first. They release the ebook when the paperback comes out. 5. “Ebook” does not mean “Always available to everyone all the time.” – As far as libraries are concerned, an ebook is just like a physical copy of a book. We pay for one copy of the book. Only one person can check it out at a time. 6. The library wants to get that ebook for you. – If there is a book you want to read in ebook form, please ask us to buy it. If we are not able to do so, we will let you know.